We’ve just finished designing three new heating and lighting logos for Procure Direct’s new INVO range of LED lighting and far infrared heating panels. Our branding work will be complemented by a PR and social media advertising campaign which will roll out next month. Our latest design work for the Waterside Shopping Centre has just arrived! The centre wanted to welcome University of Lincoln students to the city and is attending the Freshers’ Fayre next month. Our creative comprises a booklet full of special offers, a competition and an invite to the centre’s Student Night. What does the colour of your logo say about your brand? Can you imagine Cadbury in any colour other than purple? How about if I say Coca Cola – what colour comes to mind? Your answer is probably the same as mine – no. This is because these colours have become so synonymous to the brand, it’s almost impossible to imagine them as something else. Colour is such a key part of design, so much so, that a recent study by ColorMatters found that 85% of people notice colour before any other business branding, including the logos or fonts. When thinking of a brand design, though, colour can often be underestimated, as businesses don’t fully understand the impact it can have. Not only does it help stand out against the competition, but it also reaches customers on an emotional level, reflecting a brands personality and, in turn, affecting how a customer feels. However, to successfully ‘own’ a colour and ensure consumers link it with your business, it must be consistent across all branded materials to become relatable and memorable. So that leads us to the question: what do colours actually signify and which companies have been successful in owning these colours? This bold colour symbolises excitement, passion and youthfulness and is the signature colour for big brands, like Coca Cola and Vodafone, to embody their social nature. Signifying trust, reliability and strength, it is the obvious colour of choice for the NHS and Facebook – reflecting what customers would hope to expect from them. Bright, fun and friendly, the colour orange has been chosen by EasyJet and Orange because of its cheerful nature. Symbolising creativity and sentiment, a deep purple also gives the impression of sophistication and royalty, so it’s no surprise Cadbury’s has even registered its own pantone (Cadbury 2658C) shade! White represents simplicity and purity, and has successfully been used by technology giant, Apple, to promote a clean and modern brand. 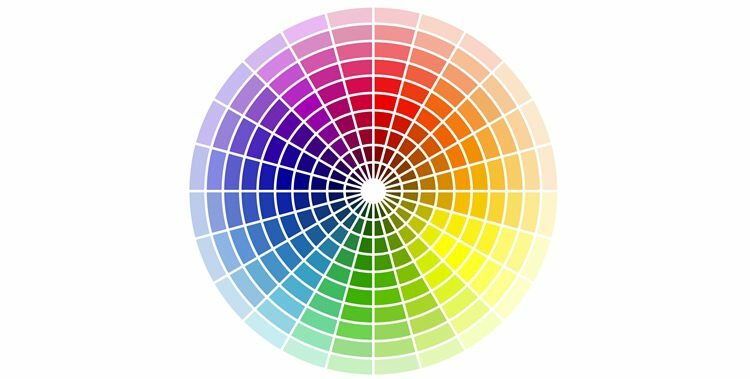 So, which colours do you use in your logo and design work? And what are they saying about you? If you haven’t considered the role colour plays in creating your brand, then perhaps it’s time to have a think. Walter’s Rural – Looking Good! 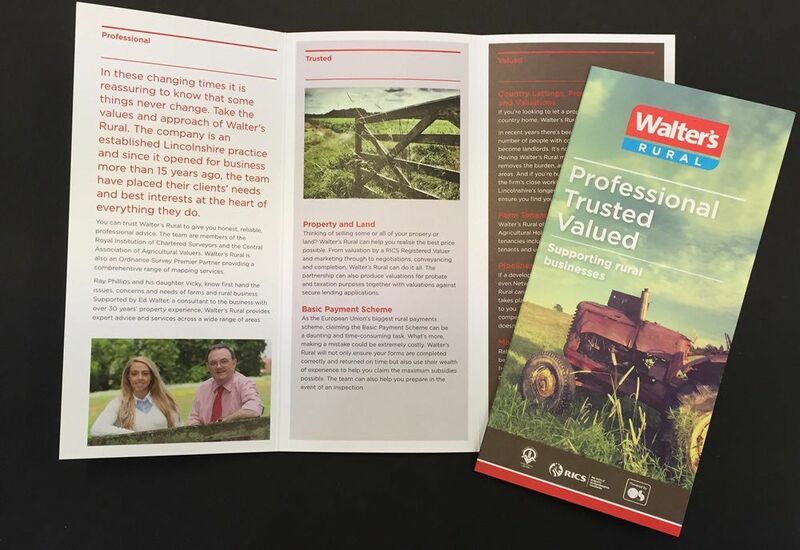 Here’s our latest copywriting and design project – a new leaflet and website for Walter’s Rural, one of Lincolnshire’s best known chartered surveyors. 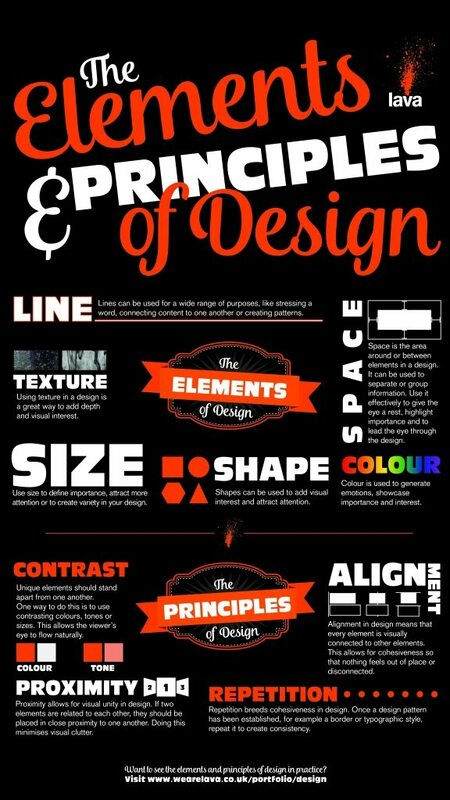 The Principles of design, designed!